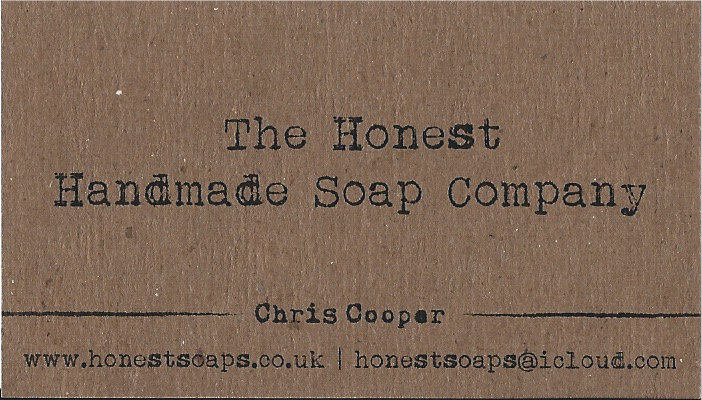 Blog | The Honest Handmade Soap Company | We make pure, handmade soaps using all natural ingredients – no shortcuts, no nasty chemicals and no funny business … honest! We make pure, handmade soaps using all natural ingredients – no shortcuts, no nasty chemicals and no funny business … honest! We’ve been quiet for a while as we have had the pleasure of creating wedding favours for my brother’s wedding. This was our very first commission and first large scale (well, fairly large scale) production. As we have only been making small test batches while learning we quickly saw the need for getting some proper equipment for larger batch sizes and for cutting soaps – rather than me pretending to be a samurai while using our kitchen knives to cut batches. I thought I’d share these excellent suppliers with the rest of the soaper community via our blog as our experience with their products has been really good. 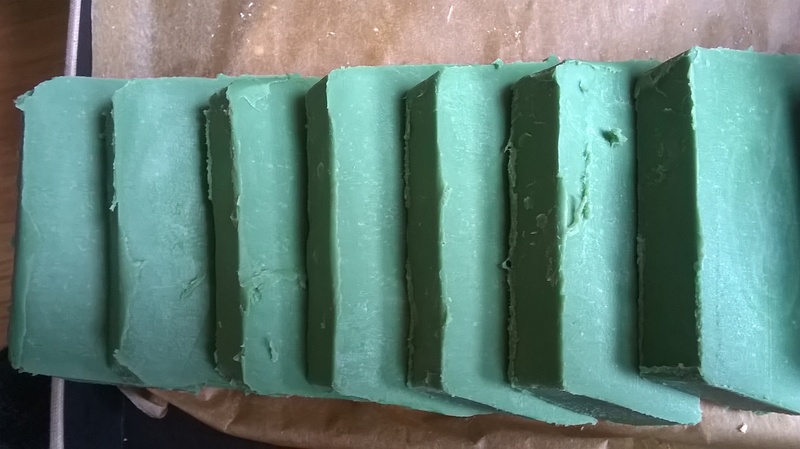 For the larger mould, we ordered a really good quality solid wood mould with a removable silicone liner from The Mould Shop – their large loaf mould holds about 1.5kg of soap batter and has improved the shape of our bars significantly. For the cutting block and blades we headed straight over to Etsy and found some excellent suppliers with reasonable prices. For the cutting block we found a shop called Skullmold and purchased the Moso Bamboo block. The wire cutter it comes with is not great but as we’re using blades that’s not a problem. The block has an adjustable stop for ensuring your bars are the right width and slots for cutting blades. This is the perfect size for the loaves made in the above mentioned mould. For the blades, we found a supplier called HerMolds who provided a straight and ridged blade that fits the cutting block we purchased perfectly. Not much to say about that – they cut soap just fine I guess? For the wedding favours themselves, we were creating mini bars that would be presenting in organza bags with a personalised thank you tag and paper flowers securing the tag. I swiftly found out that these kind of things are SUPER expensive from regular craft stores and was overjoyed to find good prices from lovely crafty people on Ebay . For the personalised gift tags we found green_foxy – their choice of tags is excellent, price very good and they deliver a really quick service too. For the paper flowers we found kerstin7271 – again, the quality and price could not be faulted and, considering that items were coming from Thailand, very quick service! For the organza bags we found k2-accessories_07 – excellent price, quick service and quality products from them too! 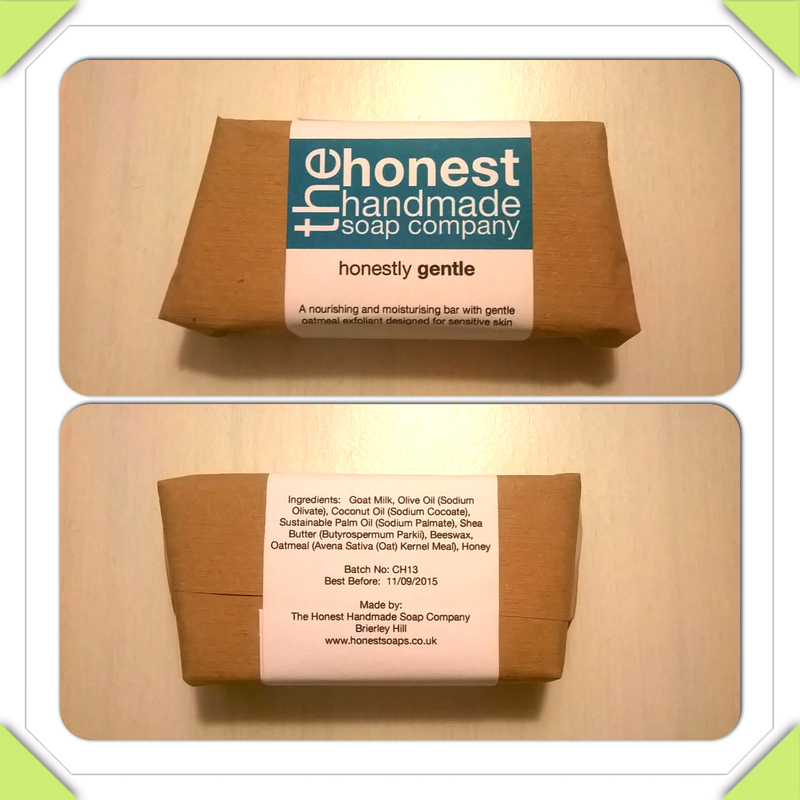 The fine smelling mini soap bars -150 of them! Thanks for reading – that’s all from us for now. I hope to have some awesome news by the time the next blog entry comes around regarding our business. You stay classy internet peoples. Let’s get to it then – starting making soaps (as with any craft) = lots of mistakes. I’m listing my mistakes here to try and assist any other folks who may be learning soap making as a hobby/craft/employment opportunity. 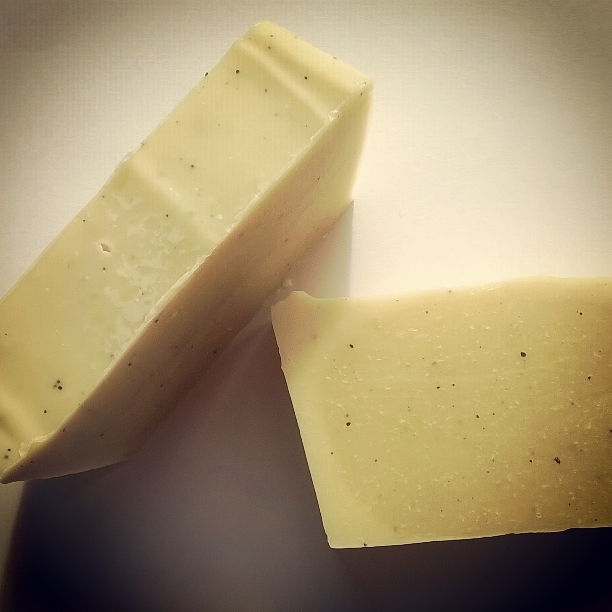 Soap making materials are costly and the fewer mistakes made, the better! I’m not going to talk about the benefits/drawbacks of oxides, micas or natural colourants here – that’s discussed extensively on other websites. 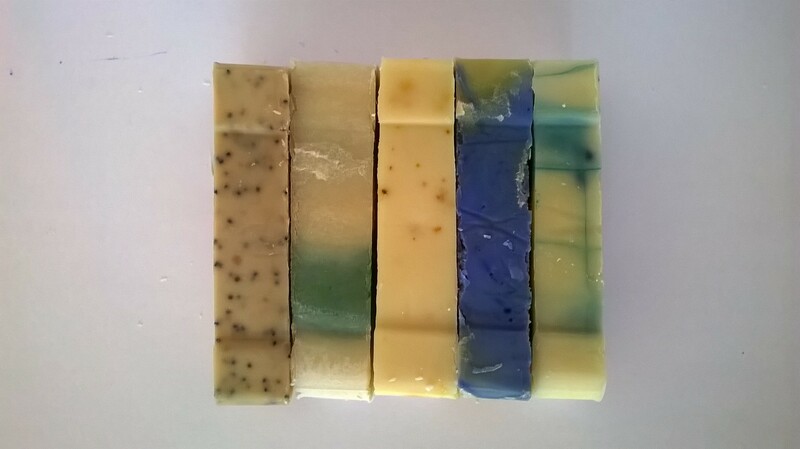 A basic lesson to learn in colouring your soap is to pre-mix the colour rather than doing it on the fly while making your batch. The mistake was simply doing things out of order (again). 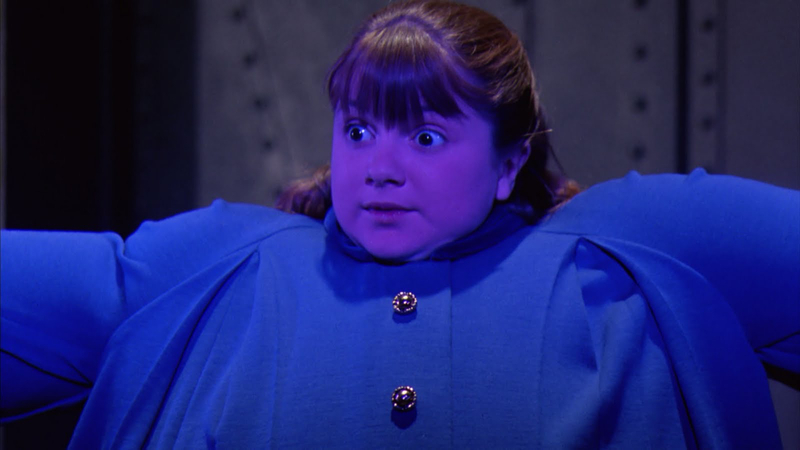 I prepared the soap batch and then as an afterthought added the purple oxide directly to the soap batter at trace. This meant that the oxide formed clumps in the soap batter rather than permeating throughout the entire batch. What I should have done was siphon off a small amount of liquid oil to be used in the batch (or water, dependant on whether the colourant is water soluble) and mixed the colourant thoroughly into it. Then, I should have prepared the soap batch and added the pre-mixed oil/water and colourant to the soap batter at trace. When you buy essential oils in medium to large quantities, suppliers often package them in open top bottles that don’t allow for careful measuring out of your precious (read: expensive) ingredients. It may seem like a no brainer, but I would definitely recommend purchasing a large amount of pipettes for measuring out your essential oils. This will help you to avoid any waste, spillage and ensure that you use exactly the right amount in your recipes. 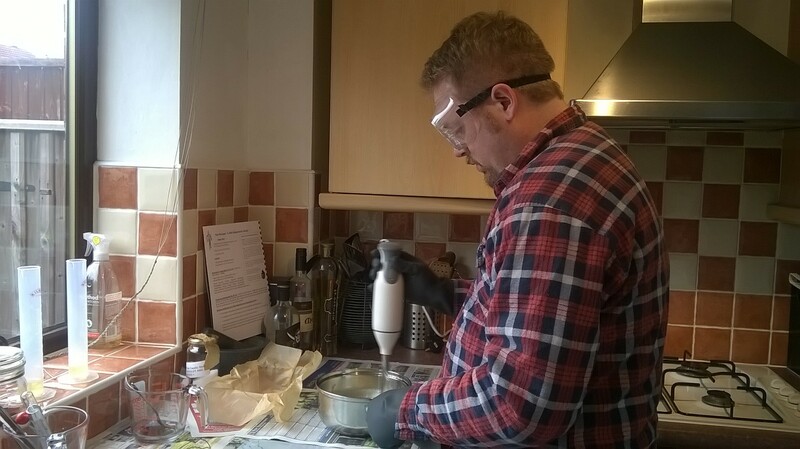 For UK readers, I get my calibrated transfer pipettes from The Soap Kitchen which is an excellent supplier of all things for the hobby and business soap maker (this public service announcement has not been endorsed by The Soap Kitchen). I make my soaps/balms/oils while listening to my favourite bands. I was thinking of adding a ‘Made while listening to…’ section on each of my batches just to personalise them a bit more. What do you think? Do you listen to anything specific while carrying out your crafts? Leave your responses in the comments section, I’d love to hear what you listen to. As always, stay classy internet peoples. It’s been a while since our last update, but we have not been idle. We have linked our Facebook, Google+ and Twitter accounts to this blog so that we can reach as many people as possible via their preferred space-age messaging technologies. We’ve also included our Instagram account on this blog so that you can see our creations as we build up a fine portfolio of successes and failures! A new tool obtained along the way to aid with recipe preparation and scaling is the iPad/iPhone application from Bramble Berry. This application has helped me greatly with ensuring the correct amounts of liquid and lye are calculated for each soap batch and also in scaling recipes from test batch size to full production. I have found this to be a very useful time-saver and a good way of keeping track of your recipes and the related batches. A word of warning for users of this application though – make sure you have correctly selected the ‘Bar’ or ‘Liquid’ option for the recipe you are creating. 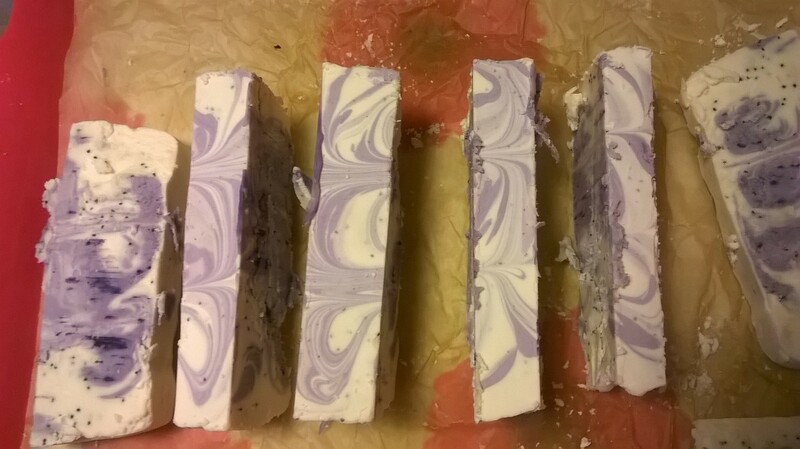 I accidentally selected the ‘Liquid’ option and my resulting soap bars came out very differently to what was intended and were not fit for use. Our first original recipe created since the last blog post is one for people with very sensitive skin. To that end we have made a fantastic (if I do say so myself) Goat’s Milk, Beeswax, Honey, Oatmeal and Shea Butter soap with no additional scents added. Freeze some of the goat’s milk in an ice cube tray and ensure that the rest is chilled in the fridge. This prevents the milk from burning when mixed with the sodium hydroxide. I found that if you freeze all of the milk, then the temperature of the lye solution is too low compared to the oils. Beeswax melts at a high temperature compared to other common oils such as coconut and palm. With this in mind, try to keep your oils in the 62 to 64 °C (144 to 147 °F) temperature range as otherwise the beeswax will harden again if added to them. Beeswax and honey accelerate trace. Ensure that you have all ingredients weighed and measured and all necessary equipment to hand before you start making the lye solution and heating the oils. 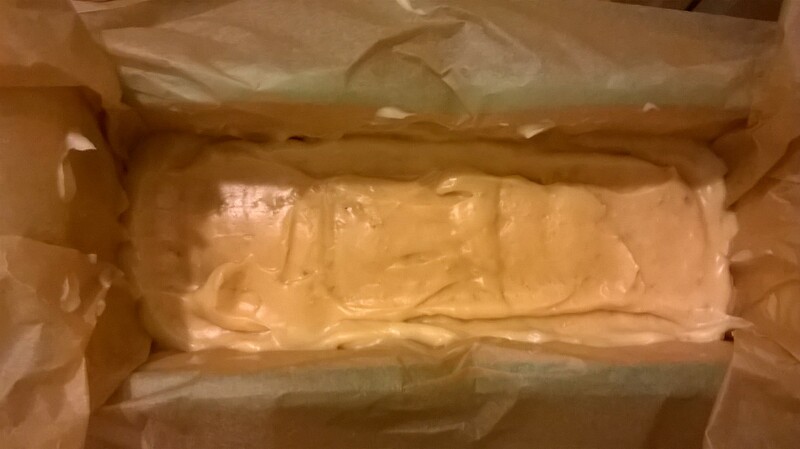 I used a coconut, palm, olive and beeswax base and added the honey, oats and shea butter at trace. Once I did this, I did not have much time to work with the liquid soap before it starting thickening. As you are working at a high temperature, the soap can go brown as it cures with a recipe like this. To keep the creamy colour of the soap, I put it straight into the freezer for a few hours after pouring into the mould. We thought that simple, recyclable brown paper wrapping with the band style label would be a good approach. The band is good for quick printing and cutting on a guillotine and also provides enough space for all the information you have to include to comply with EU law (I am jealous of the US approach to handmade soaps). However, wrapping each bar in brown paper by hand takes an age! I’m looking into quicker and cheaper options at the moment while still ensuring that only recyclable materials are used. One further lesson we’ve learned so far …. once you start this hobby, you need lots of space for it. We started out with a few things in a tiny Ikea box and slowly started taking over cupboard shelving (for curing space), book shelves and drawers all around the house. 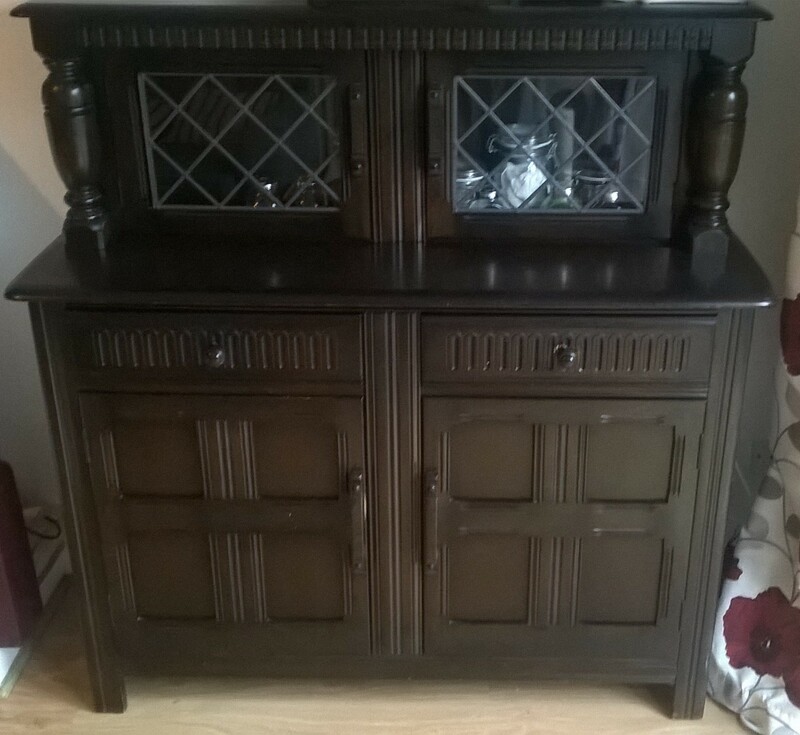 Ever keen to avoid big costs, we had a scout around our local second-hand shops and found this little beauty which now houses our soaping materials, equipment and also has space for curing. Soap making can cost a lot for just the raw materials so, if you are getting started in soap making and need a good unit for housing your equipment and creations, we’d recommend having a good look in clearance houses, second-hand shops (thrift stores for you ‘mericans! ), reclamation centres and eBay (just watch out for the dodgy repair and paint jobs from some shabby-chic style sellers). Next time we’ll cover mistakes with colouring and essential oil measurements. You stay classy, internet peoples. So in our first unsupervised batch I thought I’d keep it simple with a straight forward recipe and follow it to the letter. While a pleasant experience making what was truly our own soap, we did learn something along the way. Firstly, using a majority Olive oil base (Pomace) takes a while to get to trace even with Coconut and Palm oil balancing it out. After whisking for an age, the mixture looked great and with the nutrient (superfatting) oil, essential oil and poppy seeds all added in, it looked to be a success. Alas, this was not exactly the success we had hoped for. It looked and smelled fantastic but, when it came to cutting, the soap was very soft and crumbled easily. On top of that, although I liked the swirl pattern, we noticed that there were concentrated lumps of the oxide used to colour the soap – spoiling the otherwise groovy pattern. 1. Mixing by hand (stainless steel whisk) took too long and the mixture cooled too much during saponification. 2. I was heavy handed on the amount of colour needed for this size batch (I used double what was needed!). 3. We did a lot of concurrent weighing, heating, mixing – it would have been far easier to just get everything weighed and measured before any heating or mixing began. So for the next batches, I’ve purchased an essential item (in my opinion) to make mixing quicker and therefore reduce the risk of the mixture cooling too much before adding final ingredients and pouring into the mould – a stick blender! For the colour problem, it’s just a case of measuring out an amount appropriate to the batch size and not just going by what I guess is about right. Preparedness is the next easy fix, and for our next batch we did indeed weigh, measure and lay everything out in order prior to heating and mixing. This sounds like an obvious thing to do but, when you’re a newbie and worried about making mistakes, there is no such thing as an obvious thing to do. These are just a few things I’ve found and I hope my mistakes may help some budding soap makers out there too. 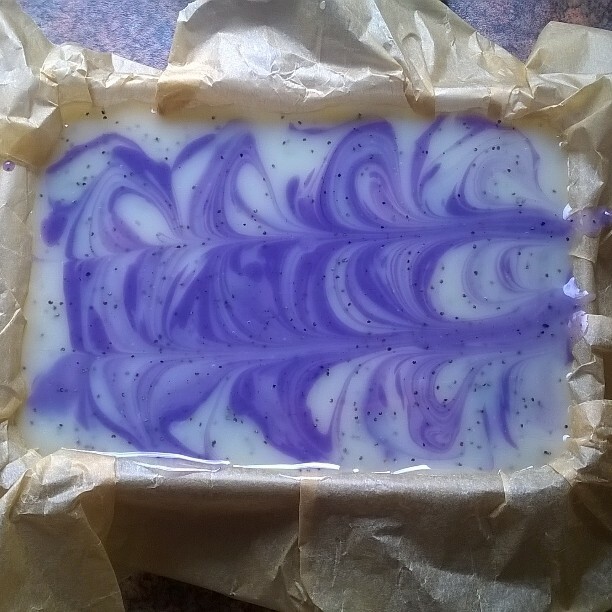 A while back I started looking into attending a cold process soap making workshop so that Corinne could take this up as a hobby at home following on from the melt and pour style soap making she had tried. I found that there are quite a number of schools dotted around the UK but one in particular caught my attention: The Little Soap School held by Emma Heathcote-James of the Little Soap Company. You can read the background of the company on Emma’s website but essentially this brilliant lady worked very hard at something she loved doing (soap making) and transformed a hobby into a hugely successful business whose products sell across the nation in some very large stores. Her approach to soap making – organic, local/responsibly sourced ingredients – and enthusiasm was something that appealed greatly. So I booked the course for Corinne and thought I’d go too in order to support her, and then something I did not expect happened …. I enjoyed it! The enthusiasm that Emma has when conducting this course is infectious and soon I was absorbed with all the possibilities for recipes. What base oils to use, what liquid to use for creating the lye mix, nutrient oils, what essential oils, clays, seeds, peel, pigments – I was intrigued by the combinations of elements but also with the careful balancing act of ensuring that the ingredients were in the correct proportions for safety, quality and appeal. We made six batches in total at the school and they made the car smell wonderful on the way back home! 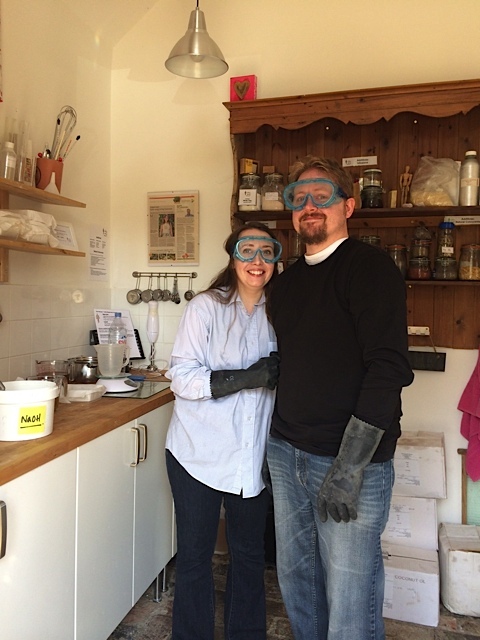 I’d heartily recommend that anyone interested in soap making take the Little Soap School course – it’s a fun experience and relaxing at the same time. I decided there and then that this was something I wanted to do more of. Whether that is only a hobby or something I can do as employment, only time will tell. In the meantime, I’m pondering new recipes to try out…..